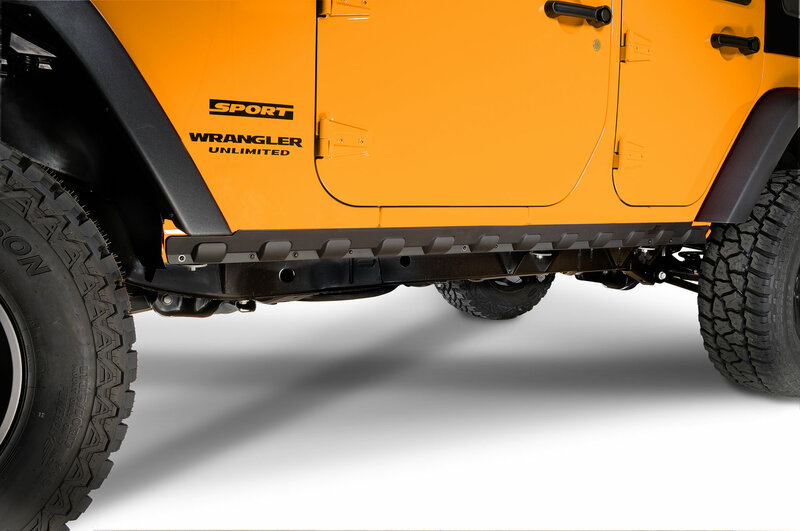 The new Rugged Ridge Body Armor rocker guard kits are constructed from impact resistant polycarbonate, protecting the factory Jeep rocker panels from scratches and scrapes with trail obstacles or road debris, while allowing you to cover up your pinch weld for an off-road look. 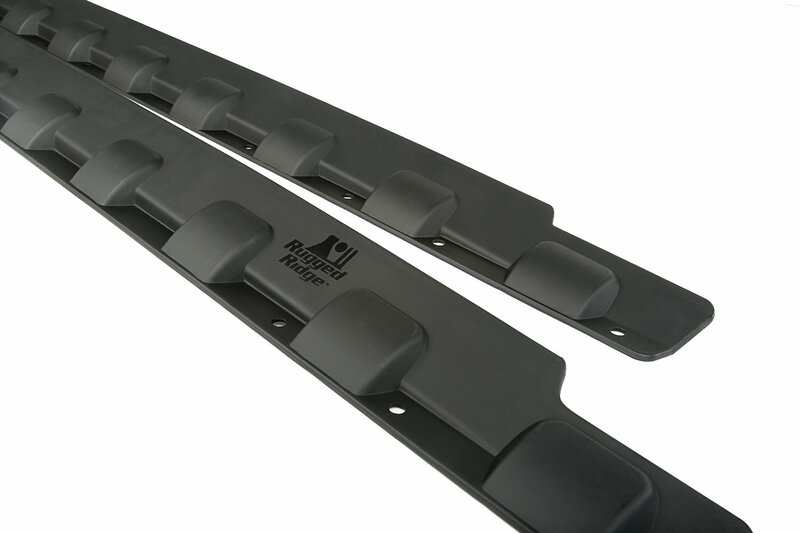 Mounted using Rugged Ridge-supplied automotive grade 3M acrylic tape, these rocker panels guards are an easy way to customize your ride. Looks pretty good but the 3M strip failed on the drivers side. Driving me nuts! 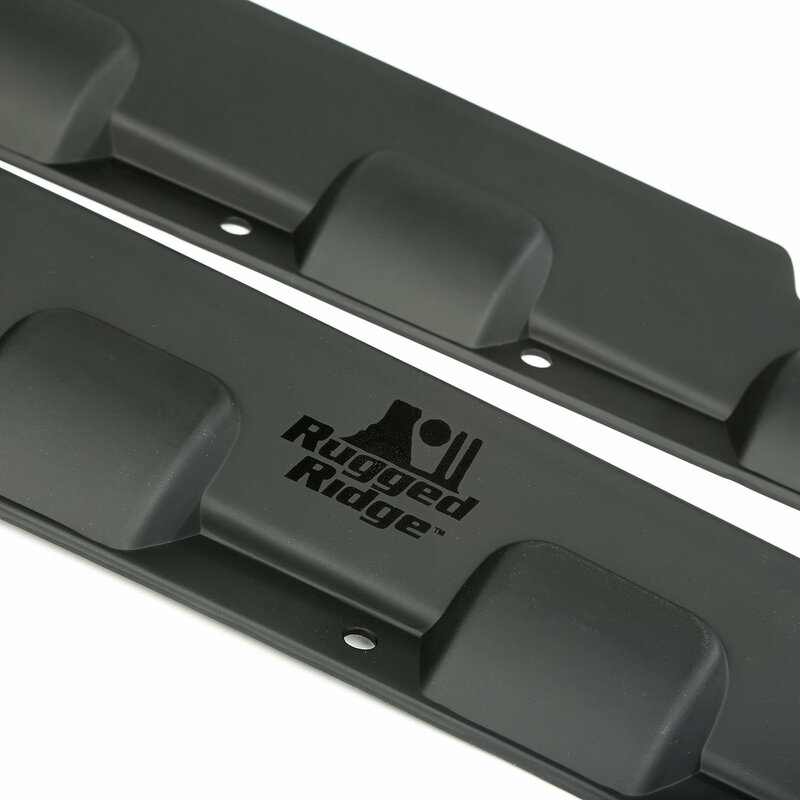 Rugged Ridge...someone screwed up- forgot all the nuts and bolts in the box, didn't send it back- too much hassle, just bought it myself. 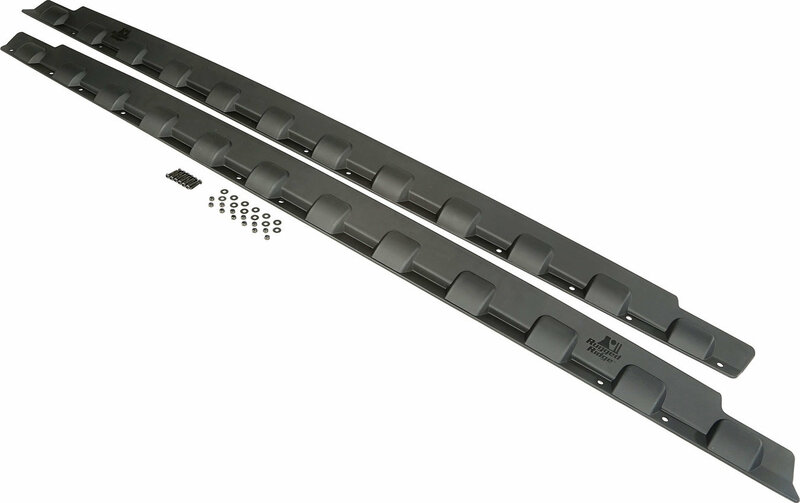 The fit is good, obviously very lightweight and gives my JEEP a finished look that I like. May want to use a round file to open holes up a little for wiggle room -you can always get a fender washer and some flat black paint.